The digital age has challenged many brick-and-mortar shops. Competing with a seemingly infinite number of businesses for space and attention online can be a constant source of stress and a challenge. Your message and product aren’t just being ranked against competitors’; you have to compete with every form of entertainment available online. Every YouTube video, song or streamed movie or show could drag potential buyers away from your website. That’s why it can be important for some businesses to have space in the physical world. 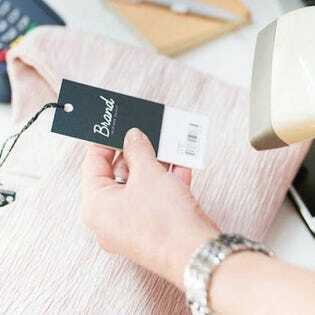 Some of the benefits of having a physical retail space include: having a tactile giveaway opportunity, having customers understand the physical retail approach immediately, allowing customers to interact with your business in real time rather than with an automated system and having the capability for hyperlocal targeting. Despite the challenges and reports about the retail apocalypse, brick-and-mortar retail may be in a stabilizing pattern. Some successful brick-and-mortar stores are evolving what they offer and focusing on experiences that can’t be replicated online. We’ve been doing this at our own physical retail store. Let’s explore some creative examples and opportunities for each of these offerings and how you can make them work for your business. To create a micro-location, all you need to do is compress some of your store offerings into a booth of some kind and hunt around for festivals or fairs where such booths are welcome. Figure out what type of hands-on experience you can put in your display. Take my industry, firearms, as an example. I might set up a laser target game in my booth and offer plenty of information and flyers to people who are interested. If you work in gardening, maybe you could have herbs for people to taste and flowers for them to smell. Get creative. You can give away keychains, magnets, stickers, water bottles and any other branded item. This could be in exchange for email addresses and phone numbers or something else that’s valuable to your organization. There are many ways to do a micro-location right. Just focus on what can’t be delivered online, and do that. Food retailers have a wonderful advantage when they have physical locations because while you can order jams, preserves and other food products online, tasting is an experience that has to happen in person. Offering free tastings or giving out coupons in your store can be excellent promotions for food retailers. What if you don’t sell food or drinks of any kind? You can still use them to draw in customers and provide them with a memorable experience. I work with firearms, but I’ve done promotions with coffee and bacon ice cream. Hosting customers’ events at your retail store can be a good way to connect with your local customer base and creating awareness of your business. Consider hosting birthday parties, business conferences or other events. • Let people experience your product. If you sell pool tables, let them play pool. • Focus on the events that are right for your business. Don’t promise a dance floor if you don’t have space for it. • Don’t interfere too much once the event starts. People know the purpose of their event, so don’t get in the way of that. The biggest thing to focus on is the experience that you can provide customers in your store. Many brands have kept their physical locations competitive by focusing on providing novel experiences for customers. How hands-on can you let your product experience be? Think about ways to pair your product with the experience associated with it. If you sell appliances, can you let attendees cook something with them? If you sell skateboards, can customers test them? Can you install a small skate park with a ramp? That’s the type of mindset you should bring to this challenge. Letting customers test a product before buying it is a great way to build trust, and I believe it will remain one of the most important ways to attract attention going forward. The big-picture lesson is simple: You know that your product can offer customers an in-person, hands-on experience. Focus on delivering that efficiently and with a twist, and you can give people plenty of reasons to come to you in person. You’ve got a way to grab attention that’s playing in a much smaller pool than the whole internet. You can turn your brick-and-mortar store into a special place that delivers something only you can offer.